01.08.2018 20:49:45 - Florida Board Certified Aviation Attorney Charles R. "Charlie" Morgenstein of Mmo Legal Services, LLC in Boca Raton, Palm Beach was elected President of the Lawyer Pilots Bar Association for the 60th Anniversary of the Organization. Secretary, and one year as President-Elect before taking on the office of President. Mr. Morgenstein has practiced aviation law since 1980, and has done so exclusively since 2004. He is an instrument-rated private pilot with over 1,000 hours of logged flight. For ten years, he was also part owner in a PIper PA-32R-300 "Lance" aircraft. Morgenstein has represented pilots and aircraft owners with aircraft ranging from small, homebuilt experimental aircraft, to large Boeing and Airbus commercial airliners. He has represented airport authorities and airport tenants. 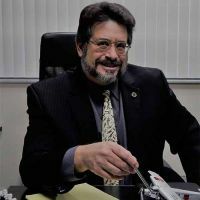 Flight Schools, Maintenance and Repair Operations, Fixed Base Operators, Certified Repair Stations and other businesses have turned to him for his expert advice over the last few decades, including numerous business jet buyers and sellers from the entertainment, sports and financial industries. He does business under the name Mmo Legal Services, LLC, as a nod to those jet pilots who understand that Mmo stands for "Mach, maximum operating" -- the fastest speed at which a certified aircraft is legally allowed to fly. Clients want their attorneys to move fast. The name of his firm is Morgenstein's commitment to moving his clients' matters at the fastest speed that is lawful for the circumstances. 2019 is the 60th anniversary of the organization of the Lawyer Pilots Bar Association which was founded by aviation luminaries who were intent upon having a Bar Association that was different from most others. In 1959, a bunch of attorneys who were also pilots and who flew their own aircraft banded together to share their love for flight and their knowledge of the law pertaining to all aspects of the aviation environment. By keeping the focus on the love of aviation, the Bar Association quickly attracted members from all aspects of the flying community: the Plaintiff's personal injury Bar, the insurance defense Bar, the Judiciary, Government and Administrative attorneys, real estate attorneys, probate attorneys, and a whole panoply of individuals who came to their love of aviation through very different legal backgrounds. Although they may be fierce adversaries in the courtroom, these attorneys bonded and have made deep and long-lasting friendships with each other through their common love of aviation. Not only has this increased the ability of attorneys on different sides of a matter to speak to one another, it has often benefited the clients on both sides because the lawyers have developed trust for one another, sometimes over decades. But CLE doesn't begin to scratch the surface of what LPBA is about. Friends from all over the country and the World (our distance award went once more to Spencer Ferrier who attends regularly from Sydney Australia). Smoke from the California wild fires forced the cancellation of the traditional "spot landing demonstration". But new members, Scott and Pam Tish (both first year law students) stepped up and made the Airbus Medevac Helicopter that Scott manages (part of a fleet of Medevac aircraft under his supervision) available for inspection as soon as it returned from an actual life-saving mission. Cliff diving, hiking, boating and sunbathing, along with communal meals around the South Lake Tahoe area rounded out the LPBA event. The participants left Lake Tahoe looking forward to the next Winter conference when they could all "Go Loco in Cocoa" next March 6 - 10 in Cocoa Beach and Kennedy Space Center, Florida. Charlie Morgenstein's term as President will expire at the conclusion of the Summer 2019 meeting of LPBA at the home of the Rock and Roll Hall of Fame and other exciting venues, Cleveland and Kent Ohio.